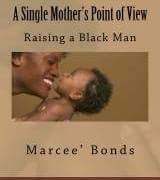 This book is about issues and that may come with being a single mother of a young black man. The goal is to not to have your son become another statistic. The author shares some of her experience as a single mother that worked for her.